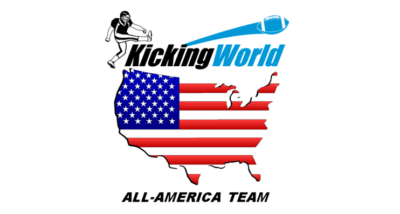 Class of 2014 Kicker Hunter Kelley from Edison HS in Huntington Beach, CA committed to UPenn (University of Pennsylvania) Football. He is expected to kick & punt. Congratulations to Kicking World Hot Prospect Hunter Kelley on officially committing to UPenn (University of Pennsylvania) Football. Hunter is expected to come in to start as the Punter right away and compete for the starting kickoff/field goal duties as well. He hopes to get enrolled into the Wharton School of Business. This is quite a big change (demographically) for a Huntington Beach, CA lifer! Congrats Hunter on your huge opportunity and we wish you the best. Hunter kicked a 50 yard field goal in a game during his senior year football season. He also was honored to the All-CIF team. View Hunter Kelley’s Hot Prospect profile.